This edition of Small Talk is about Squid, an award-winning rainwear design company founded in London by Viviane Jaeger and Emma-Jayne Parkes. The duo started out selling at a Sunday market, secured a contract with TATE Museums and The Museum of Modern Art and are now selling in 19 countries worldwide. They have just launched their newest venture in New Zealand by selling online using the Smallfish platform. We spoke to Viviane and Emma-Jayne about the milestones that have propelled the growth and success of Squid. Their story serves as a great example of how passion, a vision and careful research and development can drive your business to new heights. 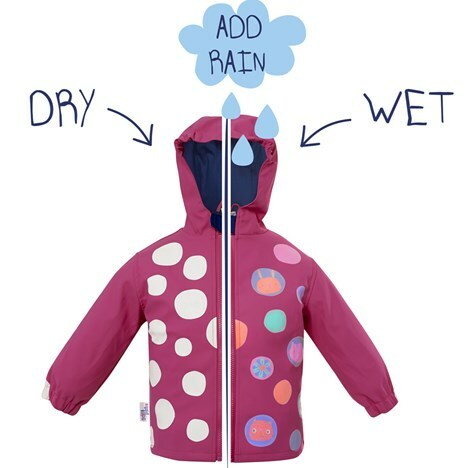 Viviane and Emma-Jayne design jackets, umbrellas, gumboots and more, all of which change colour when they get wet. “We call them our walking pieces of art! As soon as the rain hits the fabric, colour and energy erupt. Once the fabric is dry the colours will disappear ready to change again when wet”. Genius, we think! 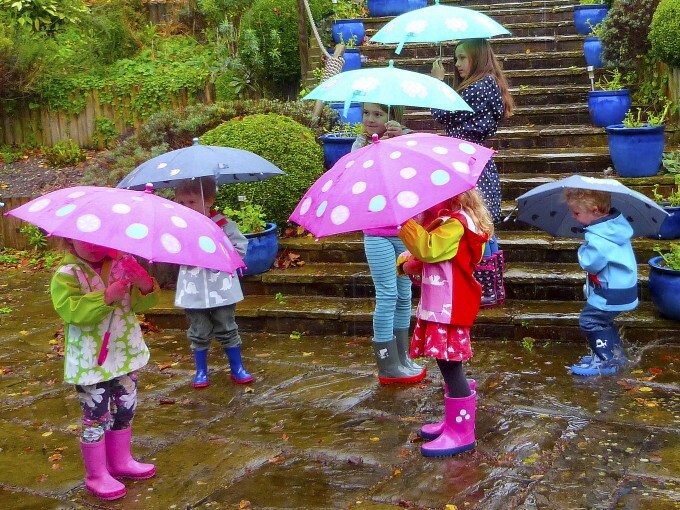 Turning dreary rainy days into colourful fun. Emma-Jayne recounted how Squid was born: “We met at The London College of Fashion whilst completing a 4 year degree in Product Design and Development for the Fashion Industries. We were both inspired by the artist Jackson Pollock whilst working on a joint project and thought, “how cool would it be to walk down the street and when it rains your clothes change colour?”. Thus the idea was born! We spent a couple of years doing research and development and launched our business just before we graduated in June 2008”. Since their launch, it’s been nothing but blue skies (metaphorically, as we’re sure Squid likes to see their designs come alive in the rain). Their unique products have taken the markets by storm and the duo have accomplished exciting things together as they take Squid to the world. 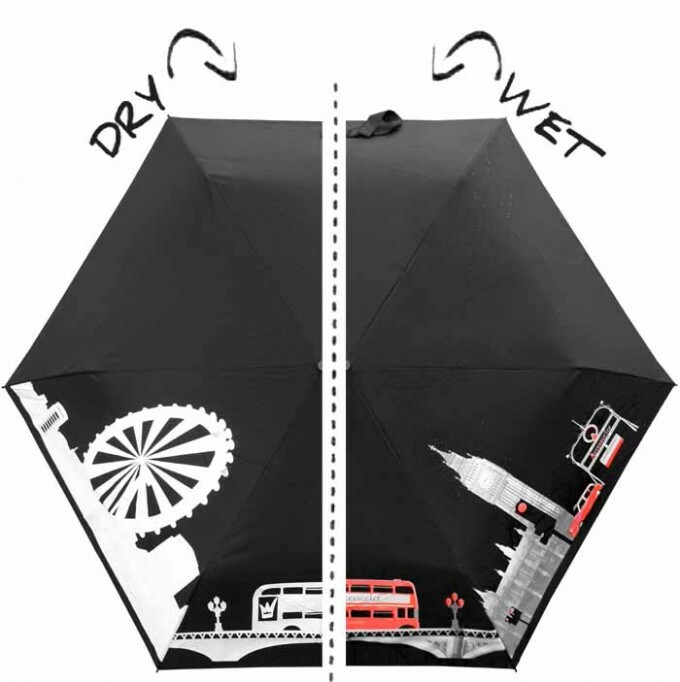 “We started in London at a Sunday market called ‘Spitalfields Market’ with just 100 London Skyline umbrellas and subsequently from that one day sold out in 11 days. 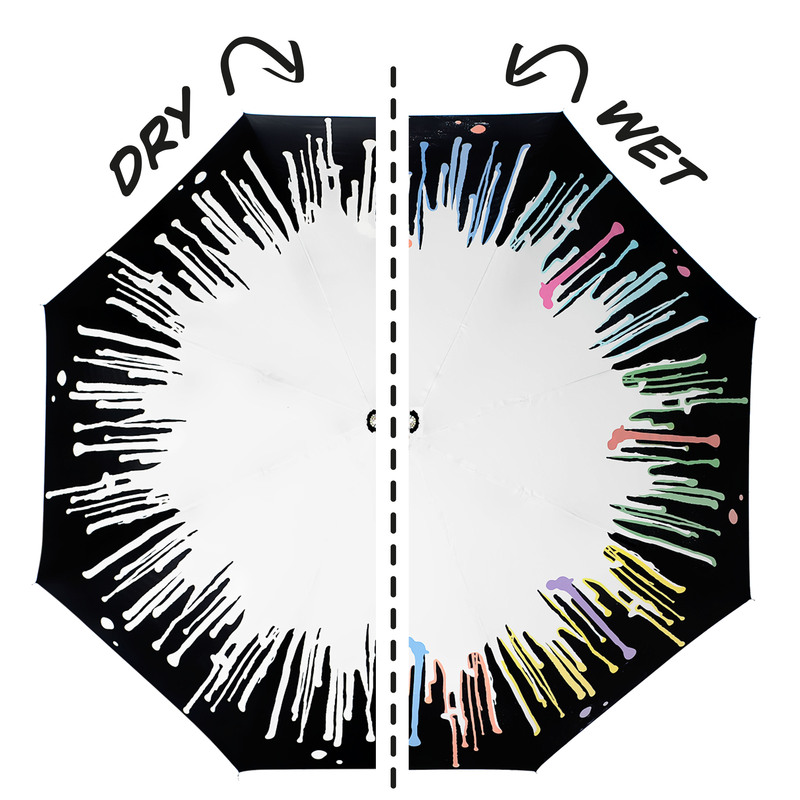 We got our foot in the door with TATE Museums and designed a bespoke umbrella to go with one of their exhibitions coming from the Museum of Modern Art (MoMA) in New York called ‘The Colour Chart Exhibition’ — very apt! It was supposed to be a one off 600 unit collection but proved so popular they continued the collection for over 4 years. We are now selling in 19 countries with over 120 stockists — working with many museums, art galleries and stores. We were excited to extend our range and launch our new children’s collection in October 2014 into Hamleys Toy Store in London”. “The achievements that seem small in hindsight but at the time were huge are usually the most rewarding. We have had many, there is not just one. The TATE contract was massive! Working with Accessorize to design a one-off range of umbrellas for the London Olympics and winning the ‘Most Innovative Business’ Award from Boris Johnson (Mayor of London), have been a few exciting moments”. “There is plenty of advice we could give that we have learnt over the past 7 years. Always make sure you have done your market research before launching a product and always test the market with a small volume of goods. Cash flow is King and you should never over-invest financially in an idea until you have validated its need and want in a market”. 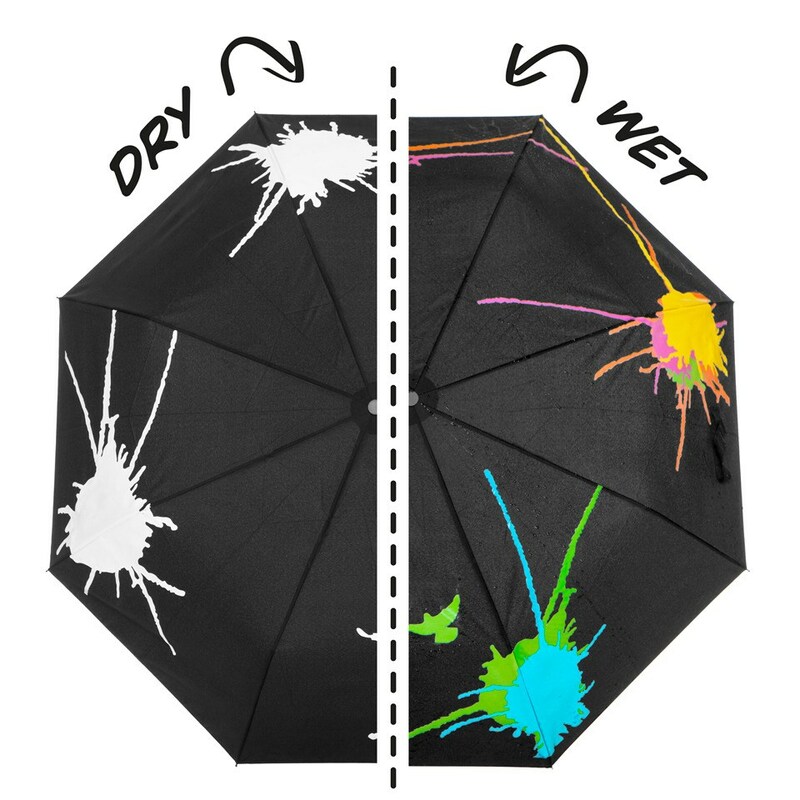 So if you see someone walking down the street in the rain and suddenly their umbrella bursts into colour, your eyes aren’t playing tricks on you, it’s a wonderful design from Squid. We think bright ideas like these are a pretty good cause to start singin’ in the rain. What important steps and milestones helped you grow your own business? Do you have any advice to others starting out? Share your insights below to help them in their journey!